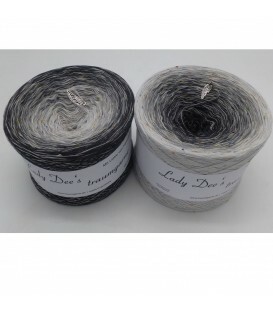 Dezember (December) Bobbel 2018 - 4 ply gradient yarn, 4 colors: light gray, mottled lead, gray mottled, anthracite mottled with a hanky thread with tiny, colorful pimples. Fiber Content: 50% cotton 50% polyacrylic. 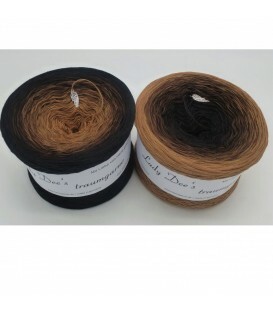 November Bobbel 2018 - 4 ply gradient yarn, 5 colors: mocha, nut, brown, chocolate, black. Fiber Content: 50% cotton 50% polyacrylic. 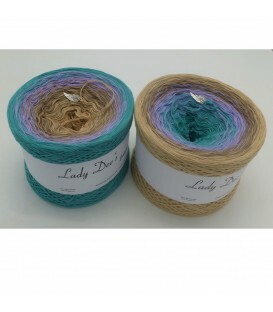 Oktober (October) Bobbel 2018 - 4 ply gradient yarn, 4 colors: beige, mud, crocus, opal. Fiber Content: 50% cotton 50% polyacrylic. 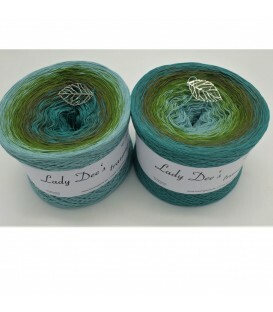 September Bobbel 2018 - 4 ply gradient yarn, 4 colors: ocean green, fern green, khaki, jade. Fiber Content: 50% cotton 50% polyacrylic. August Bobbel 2018 - 4 ply gradient yarn, 4 colors: silver mottled, baby pink, rosewood, taupe. Fiber Content: 50% cotton 50% polyacrylic. 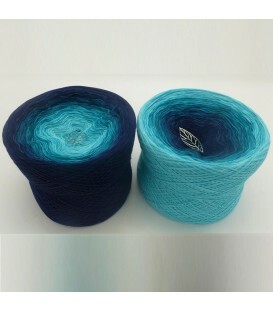 Juli (July) Bobbel 2018 - 3 ply gradient yarn, 7 colors: nymph, riviera, lagoon, jungle, petroleum, royal blue, shadow. Fiber Content: 50% cotton 50% polyacrylic. 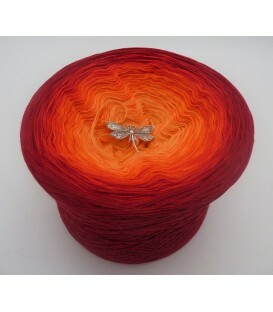 Juni (June) Bobbel 2018 - 4 ply gradient yarn, 4 colors: begonia, orange, cherry, burgundy. Fiber Content: 50% cotton 50% polyacrylic. 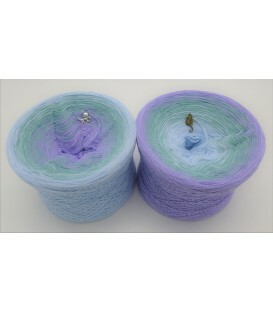 Mai (May) Bobbel 2018 - 4 ply gradient yarn, 3 colors: light blue, jade, crocus. Fiber Content: 50% cotton 50% polyacrylic. 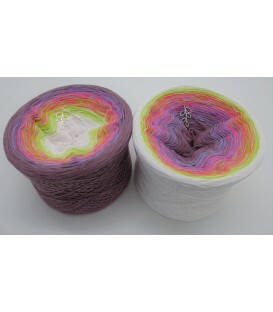 April Bobbel 2018 - 4 ply gradient yarn, 5 colors: white, hops, candy, crocus, rosewood. Fiber Content: 50% cotton 50% polyacrylic. 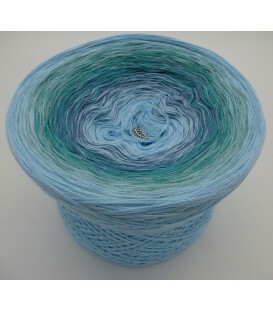 März (March) Bobbel 2018 - 4 ply gradient yarn, 5 colors: dragon-fly, pigeon blue, opal, jade, dragon-fly. Fiber Content: 50% cotton 50% polyacrylic. 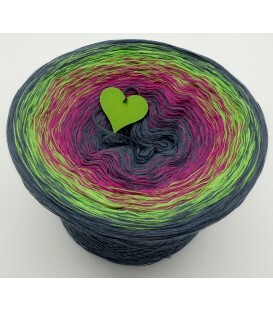 Februar (February) Bobbel 2018 - 4 ply gradient yarn, 4 colors: granite, raspberry, apple green, granite. Fiber Content: 50% cotton 50% polyacrylic. 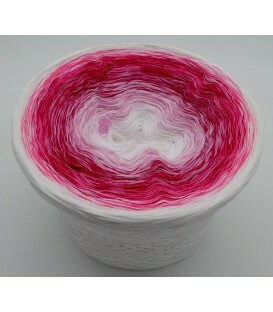 January Bobbel 2018 - 4 ply gradient yarn, 5 colors: white, Brick, pink, Candy, white. Fiber Content: 50% cotton 50% polyacrylic.